Italian Wedding Designer Team knows very well the dream of every Bride. Being glowing and radiant, at the top of her beauty for her big day. All eyes will be on her, so that’s why nothing can be left out. Makeup is essential. Avoid overdoing it and ensure that your makeup is in tune with the dress and ready to stand out in front of the camera’s flash. The eyes, on such a special occasion, should be highlighted naturally, but with emphasis, allowing the Bride to get emotional without the risk of smudges. With regard to the Hair, styles are limitless, classic and elegant Chignons, modern Hairdos with Flowers, natural and sensual Curls. Start to visualise yourself and collect pictures of how you would like to look. 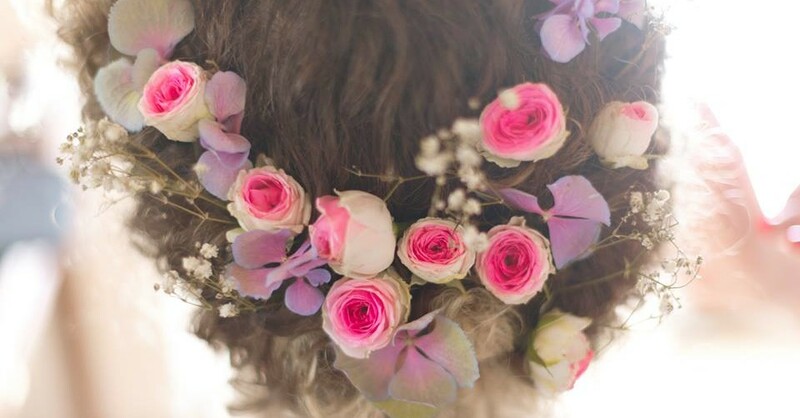 We know that many brides have a very clear idea of what their hair should look like. When it comes to hair it is all about you, but we can provide trustworthy Hair Stylists that will help you achieve that perfect style for your face shape, colour and age, not forgetting the dress and the veil. In Italy it is possible to have Hair and Makeup Services in a specialised Salon or it is possible and common to ask both the Hairdresser and Makeup Artist to come to the hotel where you are staying. It is always advised to make a test before the wedding day, on your inspection trip or a couple of days before the wedding, to have a talk with the hairdresser and makeup artist and experience how long it takes to be ready, so that you won’t have problems with the timetable. It is tradition that the Mother of the Bride and the Bridesmaids get ready together with the Bride, so we ask the bridal party as well to provide pictures of the hairstyle and makeup they want.